The Knick television drama has been a startling reminder of the peculiarly public nature of surgery before the modern era. These chambers for the often experimental repair of diseased and damaged bodies were called operating theaters for good reason. The nature of the spectacle and the reported presentational styles of some early surgeons were exuberantly theatrical. The procedures took place in an open space that looked from above much like an arena, and the audience sat watching the sanguinary drama in tiers of seats, as though it was the latest production at a fashionable theater. Not many of these places survive now. London has one in well-preserved form, the Old Operating Theatre, which dates from 1822, and at the Massachusetts General Hospital, Boston there is the Ether Dome, although its interior has been modified since its original use in 1821-67. 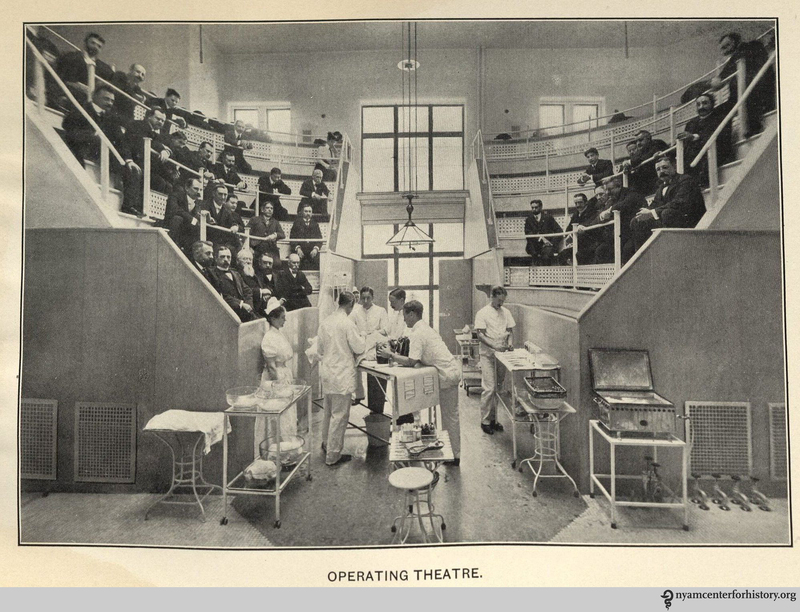 Augustine H. Folsom’s photograph from around 1890—a decade before The Knick’s starting date—shows an operating theater at Boston City Hospital, which was associated with Harvard Medical School, from whose archives the image comes. By this stage in the evolution of surgery the doctors had taken to wearing surgical smocks over their ordinary clothes, a vital improvement in hygiene, but the medical students and professors in the gallery, some of them extremely close, have brought a blizzard of bacteria in from the street. Despite the efforts of Louis Pasteur, Joseph Lister, and other reformists, the idea that germs cause infection took several decades to win universal acceptance among physicians. 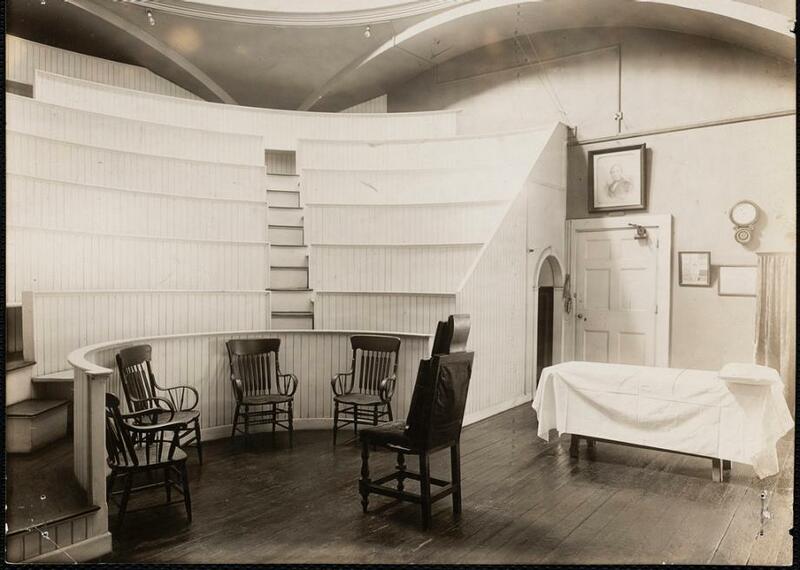 Some photographs of early operating theaters set out to show as much of the interior’s structure as possible, reducing the size of the surgical team and downplaying the dramatic impact. From his vantage point near the doctors, Folsom puts the audience behind the action, and strikes a good balance between conveying an impression of the number of people packed into the room, probably on three sides, and bringing us as close as possible to the etherized patient on the table. The figure watching intently in the foreground on the right is Herbert L. Burrell, who was Professor of Surgery at Harvard Medical School. Compared to Thomas Eakins’ stagy painting The Agnew Clinic from the same era, where the observers lean this way and that in exaggerated poses, the photograph may look a little static. 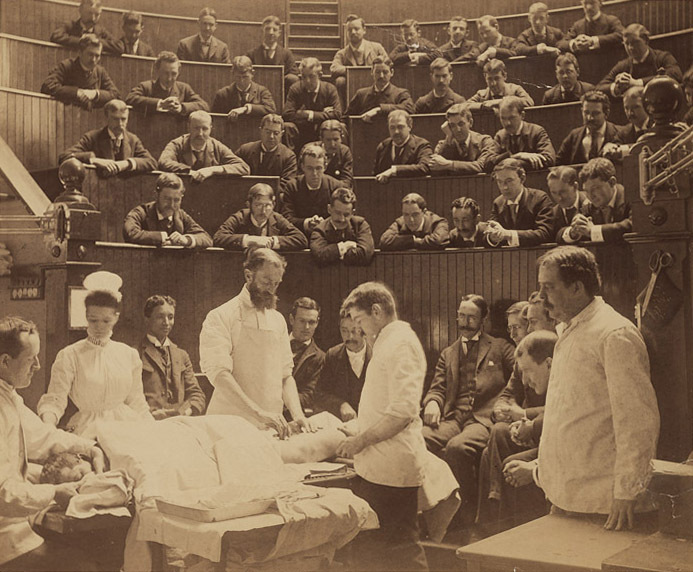 What its stillness captures is the concentration required for a procedure in which the outcome for the patient was highly uncertain, as The Knick often shows with gory relish, and as seasoned medical spectators knew only too well. So nice and informative post about operating room. Thanks for sharing this. 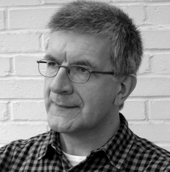 I read your blog really its informative and unique blog which provide unique information. Very interesting photos. Thank you for sharing such interesting article. I've ordered papers on site about similar story. I guess this photo would be a perfect illustration for its printed version. Is it free to use?